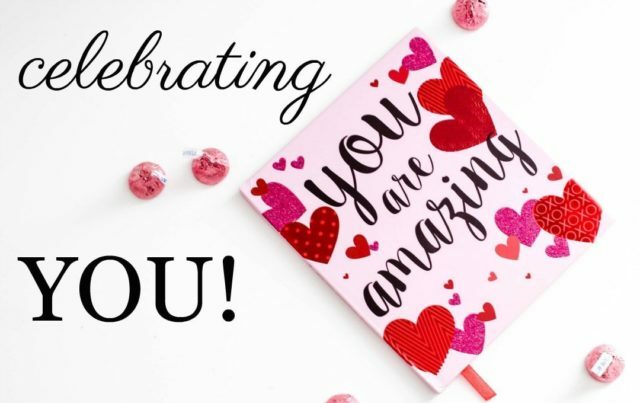 This month I want to celebrate YOU! Every day I feel so honored that you read my blog, connect with me on social media, and make Wardrobe Oxygen what it is today. I want to thank you for letting me have the chance to take the leap and pursue this blog full-time. Throughout this month I will be hosting some awesome giveaways with some of my absolute favorite brands. They also helped me pursue my dream full-time, and I'm thrilled that they want to celebrate you too! I want you readers to be the winners, so these giveaways will only be promoted on InstaStories and my blog's Facebook, and there won't be any extra giveaway entries by promoting the giveaways on social media. I know some of you readers aren't in the United States, a couple of these giveaways will also be open to international readers. To keep the content interesting during this month, each of these giveaway posts will be actual posts as well, with an outfit or a review of product. There will be regular content between them, and there won't be a giveaway every single day. I only reached out to brands I adore and have had a long-term relationship with, and I promise each of the prizes are going to be really good! Thank you again for all your support over all these years, and thank you for standing by me through this transition. I am so excited for 2018, I think it's going to be fantastic and you're the reason why! I have followed your blog for maybe a year now…one of the only blogs I make time for these days. Appreciate your content immensely! Love you and your blog! I have seen such positive changes in you since you’ve transitioned to full time blogger. You are definitely an inspiration to us all. You are the reason we’re here. Celebrating YOU, your style, your personality and your willingness to share yourself with us! I echo what Heidi said, and add that it is so sweet of you to recognize readers/followers this way. What a Valentine, I look forward to having lots of new pists to see this month! Hi Alison, I’m a long time reader of your blog and I wanted to tell you that I appreciate the fact that you haven’t ramped up the “try” in your posts. I find that when a lot of bloggers leave their jobs for blogging full time, their posts develop a sense of urgency and they become very transparent. They should know that in their attempt to gain followers, they begin to look desperate, and I don’t feel that with your site. I think you’ve set just the right tone. Keep up the good work!